UEFA president Aleksander Ceferin has warned that there will be no more excuses as Video Assistant Referees (VAR) make their debut in the Champions League starting this week. The system which was used during last year's FIFA World Cup, and is now widely called upon in most of Europe's leading leagues, was initially set to be rolled out in the Champions League from the start of next season. "If we can do it before, why not" pondered Ceferin of an initiative which had been opposed by his predecessor, Michel Platini. The decision to bring forward its use follows lobbying from top clubs including Juventus, whose chairman, Andrea Agnelli, is also president of the powerful European Club Association (ECA), a union of the continent's biggest teams. The Italian was furious after the Turin giants were dumped out of the Champions League last season by a late Real Madrid penalty. "We cannot go back, we want VAR to be adopted in UEFA competitions as soon as possible," demanded Agnelli. Other top European coaches have also welcomed its arrival, with Manchester City boss Pep Guardiola saying: "Welcome ... I'm so delighted". 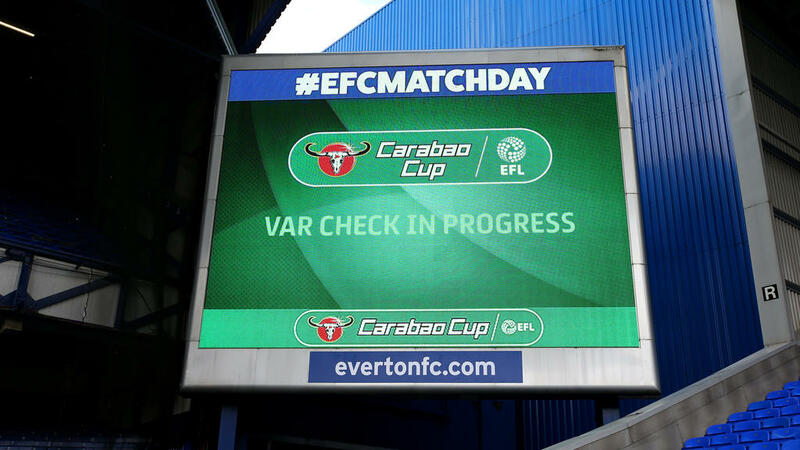 That is despite the Premier League being the only one of Europe's major domestic competitions to not use VAR. "The Premier League is the last one, so sooner or later also here in England, it's going to happen" said Guardiola, who recalled how his team had benefited from "a ridiculous penalty" awarded against Shakhtar Donetsk in the group stage. "The referees want to do a good job ...they will be helped." Bayern Munich chief executive Karl-Heinz Rummenigge said he was convinced it would make "football fairer and more serious at the international level". However, Tottenham Hotspur manager Mauricio Pochettino believes "no one is happy to watch European matches with VAR". "When are you going to use it? I don't think it's clear -- before we use it all clubs need to agree with ideas. If not it's going to be difficult." Roberto Rosetti, UEFA's chief refereeing officer, told a briefing on its use in Rome last week that while "impossible to achieve the right decision 100 percent of the time" they were convinced it would "provide valuable help to match officials and reduce incorrect decisions". Rosetti said the Video Assistant Referee would intervene for "clear mistakes" in the four match-changing situations for which it has been used elsewhere: goals, penalty decisions, straight red cards and cases of mistaken identity. But, unlike at the World Cup, there will not be a centralised video viewing room. "We'll work within each stadium with a VAR, an assistant-VAR, two operators and a UEFA official responsible to send the information outside," he explained. Meanwhile, Slovenian Ceferin warned coaches that they would have no reason to complain after most snubbed a meeting in Frankfurt to discuss the use of VAR in European competitions. Of coaches from the 16 teams invited only those from Juventus, Lyon, Paris Saint-Germain, Roma and Schalke attended, with the others sending "assistants, other staff or even marketing people," said Ceferin. "For me it's not only a lack of respect for Roberto Rosetti's team and the UEFA organisation, but the influence of coaches is huge and if they complain about being refereed they should at least come and see what the experts say about the use of VAR," Ceferin said after being reelected UEFA president last Thursday. "Now they do not have any excuses, especially the ones that did not even come."